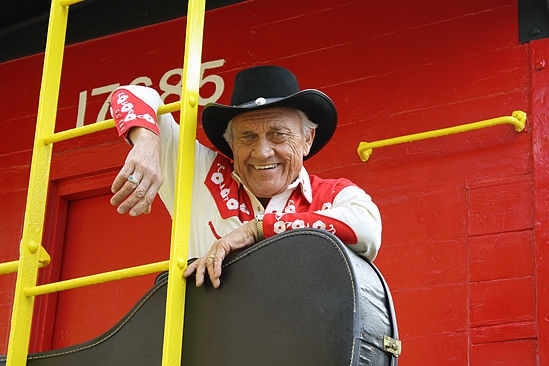 A classic country music show is planned for June 18 featuring Will Clark and the Back When Music Was Good Band at the Sapulpa Community Theatre with songs of the past when country music was really country music. The night of wholesome, family, fun entertainment will begin at 7 p.m. and will include comedy, Southern charm, and great country music memories. Also featured will be Pam Beaty, Haylie Bagwell, Makenzie Woolridge, and Master of Ceremonies John Clark. Doors will open at 6 p.m. Tickets are $10 at the door. The public is invited to attend. Will Clark recently was the featured singer at Herron’s Country Theatre , the Oklahoma Steel Guitar Convention, and the Hard Rock Cherokee Casino with Leona Williams, former wife of Merle Haggard. Williams composed several of Haggard’s hits and recorded with him. A special feature of the show will be Will Clark’s tribute to country music legend Ray Price. Beaty is not only a world-class singer of gospel and secular music from yesteryear, she is a Patsy Cline impersonator and has been featured with such stars as Wanda Jackson, The Coasters, Gary Busey, David Houston, and Johnny Tillotson and regularly appeared on Nashville television. A native of Sapulpa, Beaty was a member of several bands, including Crazy & the Cool Cats, the Great Pretenders, The Bop Cats, and Biscuit Boys & Honey. Bagwell, who is from Coffeyville, KS, began her vocal career at 10 opening for the Bellamy Brothers. She has opened for Gene Watson, Jack Greene, Connie smith, Leona Williams, Leroy VanDyke, and T.G. Sheppard. Woolridge has been amazing audiences with her vocals and at 13 years old is just getting started. Be ready for a stunning performance from her. Well-known to local theatre-goers, John Clark will be adding his own special brand of charm to the show. Don’t miss an opportunity to enjoy world-class entertainment to be remembered.